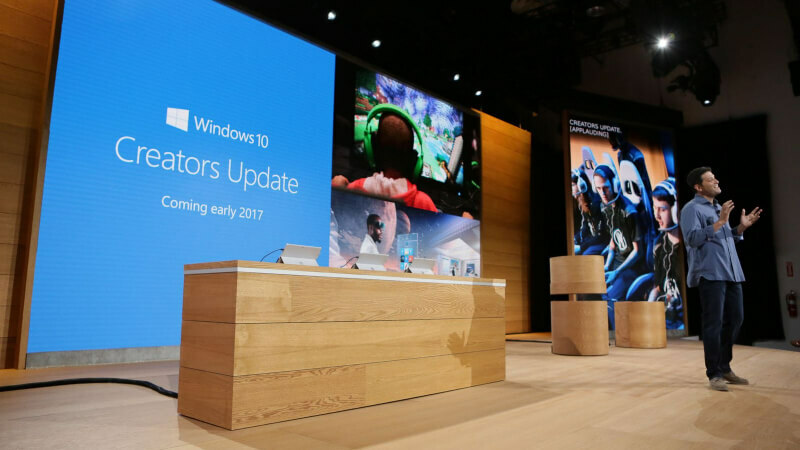 Late last year Microsoft shared the first details about its upcoming Creators Update for Windows 10, which is focused on media professionals with new features for virtual reality and 3D content. Shortly after, leaked DLL files suggested a new Game Mode could also ship with the update. Microsoft has since confirmed this, and in an interview with Ars Technica, has also described some of its functionality. The main premise is this: Game development for consoles has some key differences than with PCs. On consoles, game designers know exactly how many cores, GPU shaders, and memory they will have at any given time. On the PC, exact specifications vary widely from budget computers all the way up to extreme workstations. Background apps and other processes can also take away resources from a game. The upcoming Game Mode update looks to make the PC behave more closely to a console from this perspective. Kevin Gammill, a program manager at Microsoft, wouldn't divulge much in terms of specifics, but he said that they were seeing framerate improvements of 2 to 5% in their tests. This performance gain was most likely achieved by "deferring unnecessary background tasks and using process priorities" to ensure games receive all the available resources that they needed. Game Mode will be compatible with standard Win32 based games as well as Microsoft's new Universal Windows Platform games from the Windows Store. UWP games are more standardized with the way they utilize resources so they will likely see the biggest improvement from the update. Users will be able to opt-in and opt-out on a per-game basis and the update will feature a list of known games that will automatically trigger Game Mode. The first Insider Preview build should be available on Thursday with more updates to come.